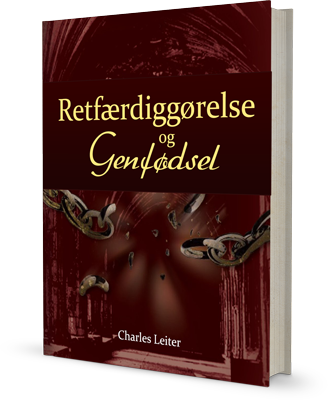 A free PDF of the book “Justification & Regeneration” by Charles Leiter is now available in the Danish (Dansk) language. A summary of the book from Granted Ministries. 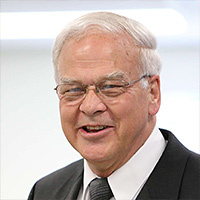 The aim of this work is clear: “This book attempts to set forth in clear Biblical light the nature and characteristics of justification and regeneration, that God may be glorified and His children brought to know more fully the liberty that is theirs in Christ.” To achieve this end, pastor Leiter first sets forth man’s greatest problem, sin. Specifically, man has a “bad record” because he has sinned, but also a “bad heart” because he is by nature a sinner and can do nothing but sin. But the glorious news of the gospel is that Christ has dealt with both our bad record and our bad heart. The bad record has been taken away because Christ died for our sins, and on that basis God has “justified” us, which means He has declared us righteous. As for the bad heart, this is destroyed when God “regenerates” us; God changes our hearts so that we begin to forsake sin and pursue true righteousness. This book is deep enough for the seasoned theologian but simple enough for the brand new Christian, and it will yield its rewards whether you study it in-depth or read it devotionally. Many have used it for small group Bible studies, and unbelievers interested in Christ and willing to read a book will find the gospel fully explained here. We have seen this book help so many people in various ways. For some, it shows the difference between biblical Christianity and the shallow, powerless “gospel” often preached today. Others have found new confidence and weaponry putting sin to death in their own lives. In the very least, all who read it gain a fuller vision of the salvation accomplished for us by Christ.